KAYANZA February 4th (ABP) – The President of the Republic of Burundi, Mr. Pierre Nkurunziza, officially launched the Sustainable Development Goals (SDG-2030) on Friday February 1, 2019, an event that took place in Musumba Hill’s Hotel based in the headquarters of Kayanza province (northern Burundi). On the occasion of the related ceremonies, the Head of State said that the country will in no way tolerate the ill-intentioned Burundians who hide behind the foreign aid to violate the customs and mores inherited from the ancestors. The Head of State also called on the Burundian people to adopt the Sustainable Development Goals (SDG-2030), while promising that from 2020, another tool containing the SDGs dating from 2027-2042 will be inventoried. . The Sustainable Development Goals launched range from 2016-2030. 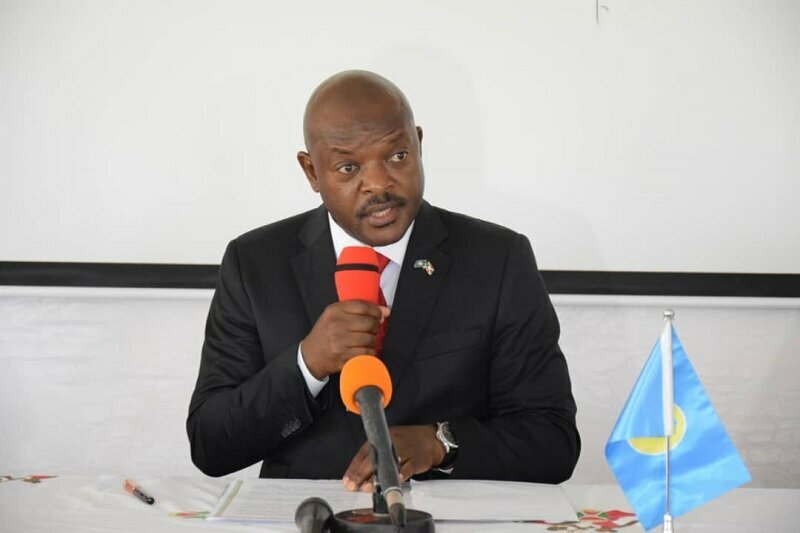 In his speech, President Nkurunziza said that Burundi opens the door to anyone wishing to support the government in its projects but that they must respect the customs and mores of Burundians. The Burundian Head of State briefly reminded that Burundi is ready to receive foreign aid, but the aid that does not tarnish the culture that has long characterized Burundi and its people. He also stressed that Burundi needs today support or low-interest loans in the sense of enabling the country to carry out projects in accordance with the will of its people, he added. Mr. Nkurunziza took the opportunity to ask partners or those wishing to do so, countries or organizations, to scrupulously respect the laws and international conventions governing aid and external relations. 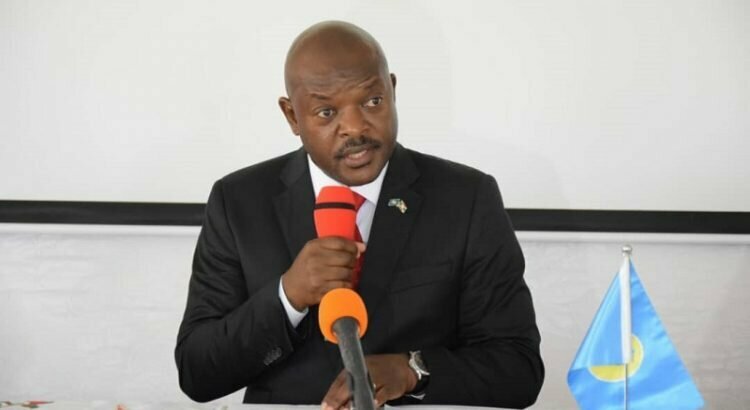 The Burundian Head of State added that sustainable development cannot be possible if there are still countries or organizations that put forward war, hence Mr. Nkurunziza warned all those who hide behind foreign aids and relations or conventions that binding measures will be taken against them unless they pull themselves together. He said that the Burundian people want above all the security and peace that prevail over those conditioned help. In the end, the Burundian Head of State emphasized, development is ultimately not possible if there are countries that rise to the level of others to disrupt their security and peace. It is only possible when there is mutual respect, respect for the laws, the good cohabitation, the good relations which are among the concerns of the Burundian government especially that the complementarity and the reciprocity take precedence over everything else, the Head of the Burundian State concluded. On his part, the Minister of Finance, Budget and Development Cooperation Mr. Domitien Ndihokubwayo reported in his welcoming speech that the presence of the Head of State and that of other persons in high authorities of the country is an eloquent sign of the importance that the country attaches to the process of developing, implementing, monitoring and evaluating planning policies and strategies with a view to achieving a harmonious and balanced development taking into account the means available to the country and aspirations of its people. He also said that the presence of various development partners at this workshop is proof of their unwavering commitment to the implementation of Burundian development policies and programs. Thus, he continued, in 2015, member states of the United Nations (UN) adopted a historic agreement on a program of universal transformation, the 2030 sustainable development program articulating around seventeen Sustainable Development Goals (SDGs). Through these, this is an action plan for humanity, planet and prosperity aimed at strengthening peace everywhere within the framework of greater freedom. Through this program, all countries and all stakeholders will act together to put it on the universal agenda that expresses the vision of a better world, free from tyranny, poverty and need, which should be achieved through the realization of these 17 SDGs with 169 targets as an integral part of the Action Plan. As for Africa, Ndihokubwayo said the adoption of the 2030 Agenda for Sustainable Development presents opportunities and challenges, especially to ensure that there are no left behind sustainable development. For the Burundian Minister of Finance and Development Cooperation, the Sustainable Development Goals are therefore a global appeal to action against poverty, to protect the planet and to ensure peace and prosperity for all people. These global goals will guide policy and funding over the next 15 years, he said. He also added that building on progress made by the Millennium Development Goals (MDGs), the SDGs include new areas such as economic inequality, innovation, climate change, sustainable consumption, peace and justice and so on. Therefore, he said, they are universal, inclusive and constitute ambitious commitment to humanity and the planet. Regarding the importance of those sustainable development goals, he said that their achievement is in the interest of all, to the extent that their achievement will unlock a huge investment potential that will benefit all people as well as to the planet. He further indicated that it is a people-centered program that focuses on transparency, participation and inclusion. In addition, the Minister of Finance added that these objectives are therefore everyone’s business because everyone is responsible for their future and their planet. Without clear goals and targets for achieving evidence-based results, we risk leaving the most vulnerable and failing to respond effectively to new challenges that hinder development and harm our planet, he concluded.